Saudis and Emiratis have dived into the world of ecommerce and aren’t holding their credit cards back, according to Payfort’s latest State of Payments report. Saudi Arabia and the UAE are the fastest growing markets for online payment transactions in the Middle East, which regionally is growing at 23 percent on average. 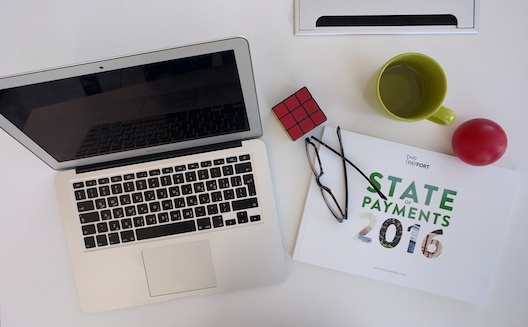 Payfort released online today the third edition of its yearly report ‘State of Payments in the Arab World’, offering up-to-date data and insights in the region’s payment trends and consumer buying habits. (The full report is available for free at www.stateofpayments.com, or you can download it from the grey box to the right). “In addition to exploring current trends and future predictions, this year’s report aims to shed some light on the real issues that impact merchants on a day-to-day basis and present actionable insights and possible solutions for the future,” said Payfort managing director Omar Soudodi in a statement. This year the report includes consumer buying data and insights into consumer behavior in the seven key markets which Payfort operates in: Egypt, Jordan, Kuwait, Lebanon, Qatar, Saudi Arabia and the UAE. It includes key influences for shoppers, buying behaviours and consumer preferences for products and services, and tracks online payment transactions in the airline, travel, ecommerce (online shopping) and entertainment sectors. “As competition grows and online consumers become more sophisticated, understanding the unique demographics and habits of Middle East consumers becomes all the more important for online businesses,” Soudodi said. The acceptance ratio across the region, indicating consumer acceptance to pay online, continues to grow. The Arab world could see $69 billion in online payment transactions per year by 2020. The region saw a 23 percent increase in online payments during 2015, led by a strong growth in Saudi Arabia and the United Arab Emirates, showing 40 percent and 24 percent year-on-year growth respectively. The volume of online payments could increase nearly three times by the year 2020 to reach more than $69 billion of transactions per year. Transactions in the airline sector increased by 18 percent from 2014 to 2015, in the travel sector by 39 percent, in the ecommerce sector by 31 percent and in the entertainment sector by 34 percent. The region’s largest markets Egypt, Saudi Arabia and the UAE led most sectors in terms of volume and year-on-year growth, with the exception of the entertainment sector, where the UAE had about ten times the volume of online shopping transactions in 2015, compared to its nearest country competitor. Egypt, Jordan, Kuwait, Qatar, Saudi Arabia and the UAE all now have more than 50 percent acceptance for online payments, with Saudi Arabia and the UAE having the highest percentages, at 58 percent and 71 percent respectively. Airline bookings and business-to-business marketplaces saw the highest acceptance rates in Saudi Arabia and the UAE, with ecommerce proving most popular in Egypt, travel services in Kuwait and Jordan, travel and entertainment in Lebanon and airlines, entertainment and B2B marketplaces being most accepted in the State of Qatar. Cash-on-delivery remains the preferred method of payment for 51 percent of Arab shoppers: a percentage that soars to 70 percent in the case of online shoppers in Egypt. The UAE continues to lead the region in terms of adoption with 71 percent of the country shopping online, with Jordan further behind and only 50 percent of its population online. Soudodi said fear was holding ecommerce back in the region: “Fear of electronic payments, fear of fraud, fear of new technology and a lack of trust in online services”. Aat the same time consumers who were paying online were demanding faster and easier checkouts, while simultaneously expecting increased security. “Rising expectations [is putting] a lot of pressure on merchants,” he said.